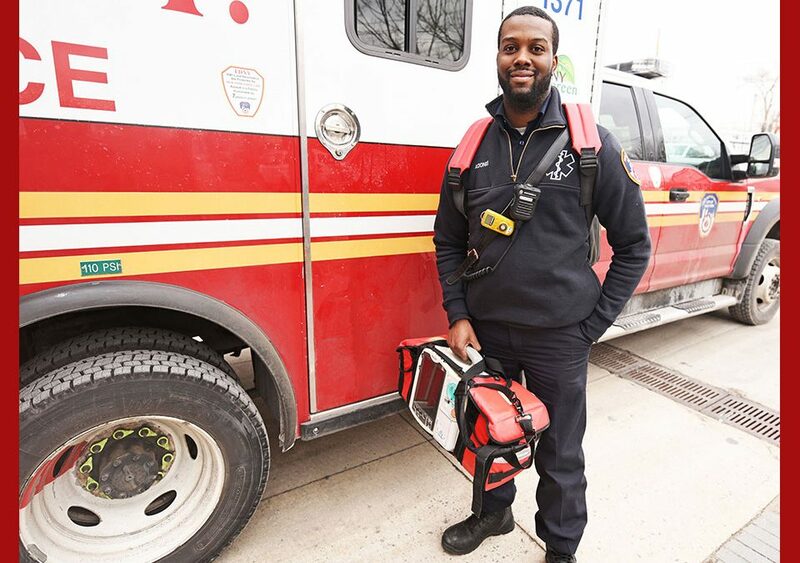 Our First Responders Remember Dr. Martin Luther King Jr.
Paramedic Denzel Adonis is all smiles while serving the community at Station 3 in The Bronx. J anuary 23, 2019 will always be a special day for Paramedic Denzel Adonis. When he walked across the stage during his graduation ceremony in Brooklyn that morning, he officially became the first FDNY Captain Vernon A. Richard High School for Fire and Life Safety alumnus to earn the rank of FDNY Paramedic, as well as the first Paramedic in his family. 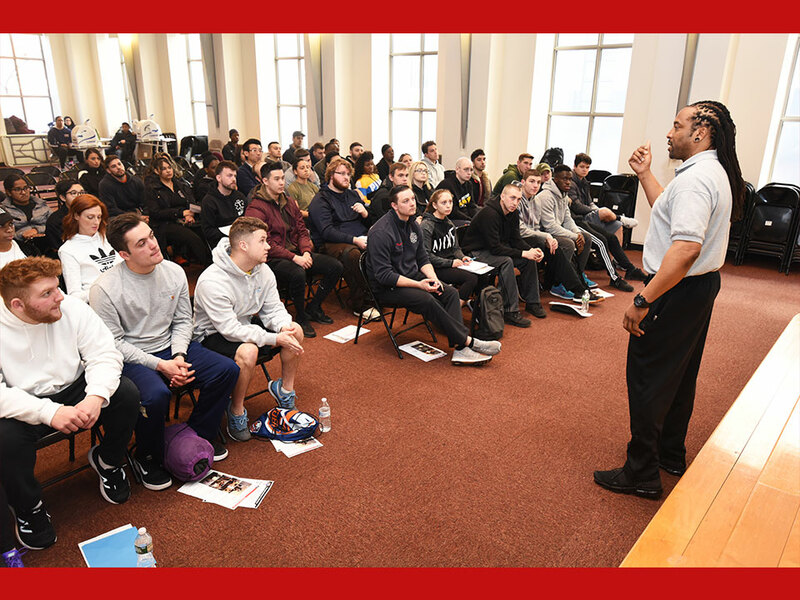 While attending the FDNY High School in Brooklyn, he noted that his instructors were FDNY members who demonstrated great enthusiasm about their careers. 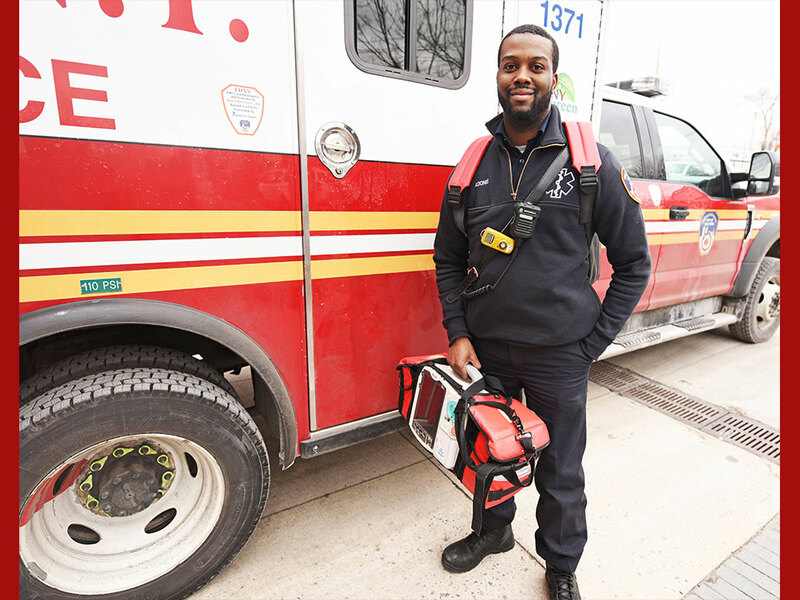 Combined with the guidance and support that he received from his parents, Adonis said he knew that joining FDNY EMS was a great career path for him after he graduated in 2011. A year later, he was sworn in as a FDNY Emergency Medical Technician. 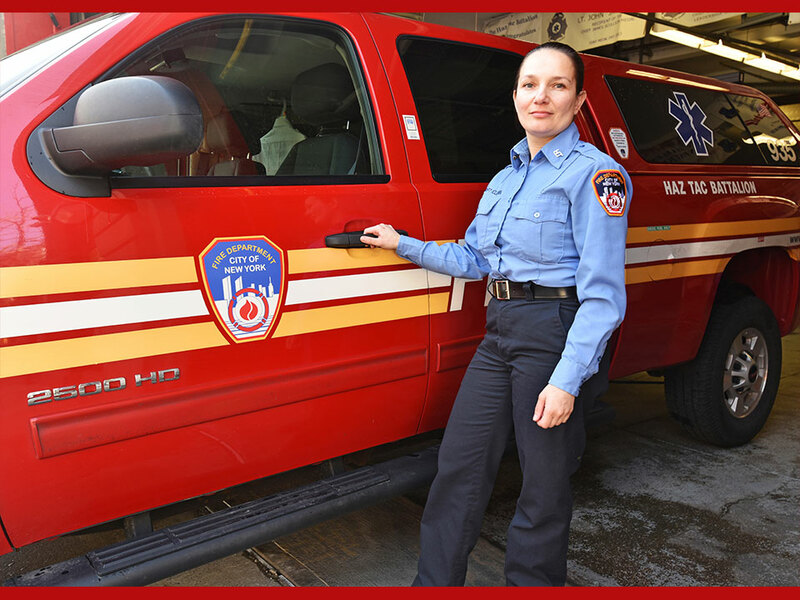 “I knew I wanted to join the FDNY after high school and continue to rise up the ranks from there. During my high school years, we learned about job readiness, EMS preparation and fitness and we had really dedicated instructors that helped us understand that working in EMS is a great career,” he said. Now, he’s working at Station 3 in The Bronx, where he plans to learn from the veteran members on the job while continuing to build upon his own legacy in the Department. Along with New York State Core Curriculum, students at the high school complete challenging courses in fire and life safety, as well as learn the core values of the FDNY. 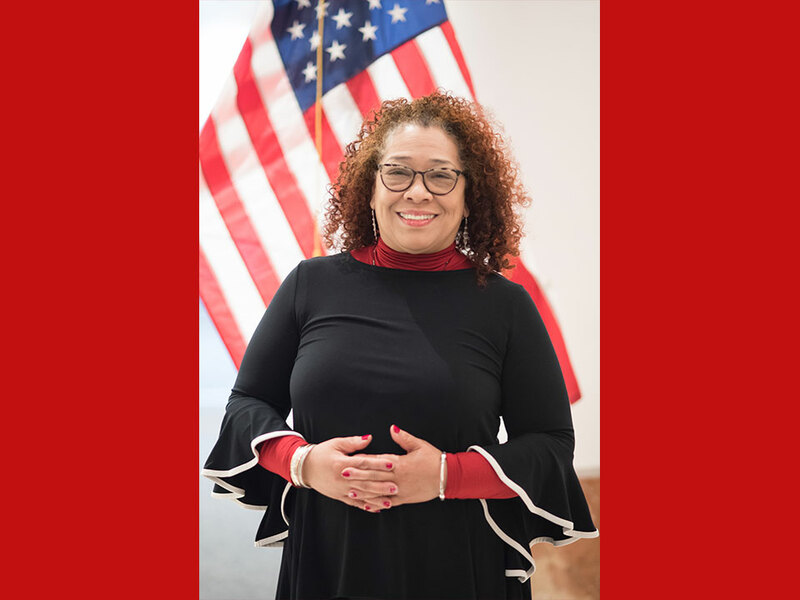 The school is part of the Department’s Youth Workforce Development, which is largely funded by the FDNY Foundation, the official non-profit organization of the FDNY. To date, 61 FDNY High School graduates have joined the Department as uniformed members and 50 of those alums are serving in our EMS. In addition, 164 alumni members have become New York State certified EMTs. Learn more about the high school here. Read more about our EMS graduation and promotion ceremony here.